the other day, i watched a guy walk into taco bell holding a little girl’s hand. she was 8 or 9 years old. i imagine he was somewhere in his forties. she was neatly dressed and well-behaved. she stood quietly in line as he ordered food, filled up drinks at the fountain, and took their seats at a table in the corner. she sat upright with perfect posture, as the man carried the conversation. she did exactly as she was told. she had little or no personality or expression. was she mad? was she in trouble? was she just a shy little introvert? i kept watching and my mind kept wandering. i hate that i live in a day and age where skepticism wins out over innocence and wholesome. i hate that i didn’t just see an older dad or a younger grandpa with their little girl. i hate that my imagination saw more. i hate what jerry sandusky did. i hate what countless others have done before him. it bothers me that middle school or high school boys can’t be babysitters easily. it breaks my heart that there are not lots of young men teaching in our grade schools. it’s a tragedy that every action that a man has with a little girl (or little boy, for that matter) is put under the magnifying glass. a couple of nights later, i pulled my little friend brooke up on to my lap, so she could show me what she had made. i love brooke. she is bright and outgoing and precocious. she is also trusting and her life is an open book. i take her friendship with me very seriously. and as she sat on my lap, looking me right in the eyes and talking a mile-a-minute, my mind wandered. i wondered what people might be thinking of me. was anybody thinking i was crossing a line? i hope not. i wasn’t. we finished talking and she hopped off and went on her innocent way. and i mourned the death of an era that will never, ever return. there are not many things that threaten to reduce me to a butthead in public. but over-the-top parents at youth sporting events will do it for me just about every time. tonight, i went to watch son #1 referee a local eighth grade boys basketball game. i got there a few minutes late and took my seat in the bleachers in front of a young dad…who looked like he had just got off work from his junior executive position somewhere. complete with his over-worked blackberry in hand. this dad was non-stop criticism. the primary recipient was his own son. 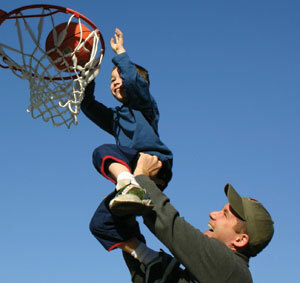 according to dad, his son didn’t: run hard enough…throw crisp passes…go to the hole with authority…rebound strong…act like a leader…shuffle his feet on defense…take enough shots…have cross court vision…follow his shots…set hard picks…or trap the opponent on the baseline. …and the kid definitely heard him loud and clear. pretty much everybody did. his son wasn’t his only target. he belittled his son’s teammates for not playing hard. he voiced his displeasure at boys who threw bad passes or took ill-advised three-point shots. he openly…and loudly…questioned the young coach’s strategy and decision-making. the refs took their shots from this dude, also. and he did this all while constantly texting and checking his email. true multi-tasking. i bit my tongue for most of the game. what he needed was for me to take him out to the woodshed for a little one-on-one with a guy who has seen it all…and heard it all…and lived it all…in youth sports. and this dad didn’t come close to exceeding it. dad, just shut up. really. just stuff it. don’t you see the look in your son’s eyes when he looks back at you? don’t you see that you are slowly, but surely, pushing him away? he’s only thirteen years old, for crying out loud. your son doesn’t need you to be his coach anymore. he needs you to be his cheerleader. fold out your little foam bleacher seat and just watch your kid. relish your front row seat in the drama of his growing up. share his successes. be sad with him in his failures. stop telling him what he’s doing wrong. let his coaches do that. save whatever instruction you feel compelled to give him for a private moment at mcdonald’s after the game. you are going to blink and it’s all going to be over. those eighth grade games bleed over into high school games quickly. i know. i’ve lived it. maybe your son will be good enough to make the freshman team next year…and maybe he’ll even get the awesome experience of playing varsity ball someday. more than likely, he won’t, though. but if he does, it certainly won’t be because you screamed instruction to him from the stands. it will be because he develops a personal passion for the sport and pays the price to get better everyday. …and he’ll do it because he wants to…not because you want him to. so love him and hold him and forgive him and laugh with him and encourage him until you have no more vocal chords. give him attention and grace and learn how to smile with wonder and amazement at his big feet and the horrific cracks in his changing voice. and shut up. in love. it’s kind of funny. i’ve never been able to wrap my head around the idea that father’s day was about me. from the time my sons were born…all the way up to today, some thirty years later, father’s day has always been about my dad. it was his day. even back when wanda and my boys made a big deal about the day for me, my heart was always with him. as i grew older and moved father away and got wrapped up in my own life, it got harder and harder to spend time with him on his day. but it was always where i wanted to be. it was where i knew i needed to be. for me… not for him. like i said, it was his day. as i sit here alone with my thoughts tonight, my memories of my dad are pretty clear. he passed away eleven years ago. i miss him. he never got to see my life in texas. he never got to see and experience most of the amazing things his grandsons did in their lives. he was an athlete and a real sports fan. he would have loved to see them play ball. he would have been proud of them. when i was young, he was really active in our church home. he also knew some of the darker sides of church life and leadership. i’m pretty sure he wasn’t too thrilled that i became a youth minister back in my twenties! i’m more than sure would have rolled his eyes when he found out i became a preacher over the past few years! but he still would have been proud of me. when i rolled into my adult years, my relationship with my dad changed. he changed some. i changed quite a bit. it’s not surprising that our interaction went through some alterations. my dad could always small-talk. we could talk sports. we could talk about his job. we could talk about projects around the house. we even occasionally talked about church…in a generic, benign kind of way. along the way, i had learned to value deep friendship…challenging, personal conversation…meaningful interactions about real life and death issues of faith and convictions. for whatever his reasons, though, that was not something my dad valued. not with me. not with anyone. it wasn’t until he was on his death bed that he opened up to me and talked about things on a deeper level. in the final nine months of his life, i think i learned more about him than i got to know over the course of my whole life with him. i will forever be grateful for that short time. …and i will always carry a particular kind of sadness with me, also. i wish i would have known him better. i think there was way more inside of him than he ever let show. maybe that’s one of the reasons i work so hard at being transparent. i wish i would have been able to learn more from him. i should have asked him more questions and listened more carefully to what he was trying to say. i’ve always had such admiration and respect for dads who have close, deep, transparent relationships with their “adult” sons. i never really had that with my dad. he didn’t have it to give. he also didn’t know what he was missing. it wasn’t until i grew up that i knew what i was missing. so here’s my challenge to all of you sons and daughters…whether you are twenty or fifty or anywhere in-between: as long as he’s still breathing, it’s never too late to find out what makes your dad tick. it’s not too late to have some heart-to-hearts. even if that’s never been part of your M-O. your dad doesn’t need your gifts on father’s day. he needs you. and you probably need more of him, also. so another year has come and gone since last june. happy father’s day, dad. i wish you were still here so i could tell you personally. like i said yesterday, my father grew up in a different era. men of that time period (he was born in 1925), were born into a different world than what know now. as a child of the depression, my dad was tough and independent. a man’s man. talking is what you did around the lunch wagon and on coffee breaks. feelings and nurture and caring and sympathy were for women. we were as close as most fathers and sons were back then. i knew he loved me by how he provided. he was interested in the things i did…but from a distance. his work was his world. his home (my home) was his castle…the place he rested in so he could go back to work. friendly, but not warm. present, but detached. committed, but not close. a leader, but a closed book. faithful, but not compassionate. forgiving, but not gracious. loving, but really rough. he perceived his role as a my dad as important to let me grow up on my own. learn from my own mistakes. carve out my niche without his teaching or input…even though i needed it…and wanted it. i want my boys to know me. i never really knew my dad. i watched him from a distance. i knew what he did, but not what made him tick. i didn’t know what i was missing, until it was too late. he never let me inside. i’ve worked hard to help my boys know who i really am. it’s hard work. it’s not over. i’ll keep giving it my best. i learned to rely on others to teach me. for some reason, i never grew up with this great desire to prove to people…any people…that i could do things on my own. somewhere along the way, i began to value the pursuit of wise counsel. i love asking for help. it does not emasculate me to admit i don’t know how to do something. i am encouraged and empowered by interdependence. i learned the value of sitting and talking. no question, this is one of my dominant values. there are few things closer to my heart than the exercise of stopping what i am doing, in order to enter the world of another person through conversation. learning this was not intentional. there was no modeling. maybe missing it is what made it so important. i learned the importance of going deep. my hunger to have deep, meaningful conversations is great. i can small-talk with the best, but i am ultimately drawn to deeper water. what do you think? what do you feel? where do you struggle? what are your fears? what are you anxious or worried about? what are your goals? what are your doubts? what are you learning? i couldn’t answer any of those questions about my dad. nor could he answer them about me. i am different now. what i believe and how i live need to match up. my father admitted to being a religious man. his faith in god was deep, but it was definitely reserved for sundays. for the most part, his life of faith did not translate to his day-to-day living. somewhere along the line, i began to understand that following christ had to be an all or nothing proposition for me. we stand on our own before god. nobody stands for us. nobody can take our place. the faith of others will not work for us. as i grew in my faith, there were some years that i desperately wanted my dad to connect to god in a deeper way…but he couldn’t. he didn’t know how. it broke my heart, but i had to let him stand on his own. it is the toughest lesson i have ever had to learn. i still struggle with it today…it is no less difficult, but no less true. i loved my dad. i wanted him to be proud of me. in his own way, i think he was. very proud. i am grateful to have known him. i’m proud to have his name. 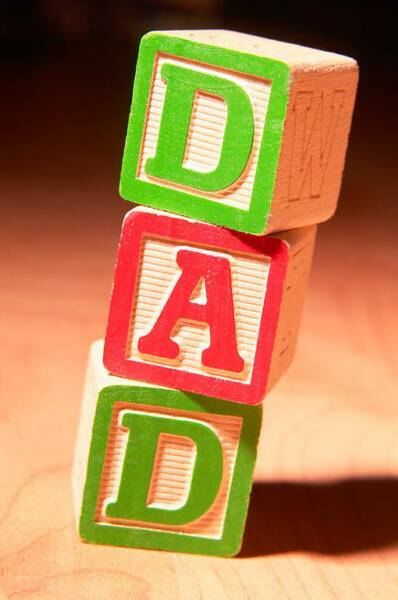 happy father’s day to all my fraternity. although my dad never took the role of teacher as something he was supposed to do intentionally, he still taught me some pretty valuable life lessons. he taught me the value of providing and protecting. my father was a classic hunter-gatherer in his role as a husband and father. he worked long hours. when i was a child, my dad was a common carpenter…taking whatever jobs he could. whatever it was, he took it, because we needed the income. he never complained. he was always grateful to have the work, because it allowed him to fulfill his role. he taught me to be content with what i had. there was no a lot of excess around our house. money went to essentials. no room for complaining. just a simple existence…and it was always enough. i know he wanted to provide more, but it was never his driving force. he taught me not to compare. we always rented. we didn’t own a home until my senior year in high school. i never knew difference. i knew there were kids that lived in bigger and nicer houses, but it never mattered to me. i know i owe that to my dad. he taught me the joy of giving gifts to my family. maybe it was because we didn’t have much…or because he really wanted to provide more…or simply because it was in his heart…but my dad loved to give gifts to me and my mom. usually pretty extravagant, by our standards. he bought me my first real baseball glove when i was ten years old. it was a “rawlings trap-eze”. he paid $55 for it…in 1964. that would be the equivalent of a top-of-the-line, $300 glove today. i can still remember the joy on his face when he gave it. he taught me the value of loyalty. my dad ultimately became a boss…first a foreman, and then a superintendent with a large commercial construction company…in my high school and college years. he was intensely loyal to his workers. he went to bat for them when they were walked on by subcontractors. he worked hard to create work for them, so they could provide for their families. he inspired loyalty in them. he taught me not to “over-complicate” my belief in god. my dad was pretty matter-of-fact, when it came to his belief system. he didn’t need to read books. he didn’t have much time for people who didn’t believe the way that he did. no real need to spend time discussing religion (as he put it). he just accepted it. although i can pick his belief system apart right now, looking back i realize that his simple, firm resolve is embedded deep within me. father’s day will never be about me. it will always be about my dad. after all these years…after having been a dad myself for almost 28 years…i have yet to consider this holiday as “mine”. it was always his. it always will be. he passed away ten years ago this year. sometimes it feels like it was yesterday. most of the time, i can barely remember anything about the final year of his life. he had a pretty severe stroke and he held on for almost eleven months before it was over. just a blur…but, i remember him a lot when i go visit my friend bill in the nursing home. i was his only kid. my mother had passed away about ten years before that, so my dad was pretty much all alone. he had a couple of friends left over from his pre-retirement days, but though he had always been a pretty friendly and likeable guy, he mostly lived a life of isolation. he probably wouldn’t have won a lot of dad-or-the-year awards. he was a good, hard-working man… but pretty stereotypical. gruff on the outside. talked about his work…his sports teams…and not much else. got up early, worked all day, came home, watched some television after dinner, fell asleep in his chair, went to bed when my mom woke him up. same routine my whole life. in my childhood, he had some involvement in my life…though it was limited and dictated by his commitment to work. i have some memories of playing catch. i always wished we could have done it more. he loved baseball. we took in some pro and minor league games, but not many. his job (and the exhaustion that usually accompanied it) was always first and foremost. his way of showing his love was to put a roof over our heads and food on the table for my mom and i.
eating out was very rare (money was always tight) and we had only one family vacation in my whole life. no weekend trips. no special outings. just simple routine. he had a simple faith in god, but never really talked about it. he prayed the same prayer every time before most of our dinners around the family dining table. we attended church faithfully for most of my childhood and adolescence. he often sang in the choir…i remember he had a really good voice. he was even an elder at times. but it was not unusual to have roast preacher, along with the roast beef for lunch after church on sundays! it may not have been healthy, but the conversation was always sincere. he was not particularly happy when he found out that i wanted to spend my life as a minister. he had some pretty vivid memories of how ministers are often treated by church leaders! i cannot remember any significant father-son conversations. maybe that’s why deep, healthy, real conversation…the kind that sinks below the surface of work, hobbies and family means so much to me. but i did grow up in a stable home. my father didn’t abuse alcohol. he was a two-pack-a-day smoker, but as far as i know, i don’t have any ill effects of growing up in a second-hand smoke environment. my dad loved my mom and kept his vow to stay married to her until her death separated them. for that, i will always be grateful. look…i know i haven’t painted a really flowery picture of my dad. it hurts me as i write. i wish it were better. i know it’s why i worked so hard to try to have a different kind of relationship with my boys. nobody’s perfect. if we were, there would have been no need for god to become flesh. but there’s more to this story. be looking on father’s day. repeat…over the course of the final fifteen days of 2009, i’m going to let you in on fifteen things that need to change in my life in the coming year. fifteen decisions that i am making that reflect things that are important to me. it’s no secret to people who know me or who have spent any time with me…i love baseball. i like just about every sport, but there is nothing that compares to baseball. my dad took me to san diego padre games back in the 60’s when they were a real minor league team…not the faker one they impersonate every third or fourth year nowdays. i can remember seeing some of the most famous baseball players of that era play at old westgate park in my hometown. i played little league in the days of heavy cotton uniforms and wood bats and stirrups and the original flat bills. i collected baseball cards in old cigar boxes and used some of favorite ones…mickey mantle, pee wee reese, stan musial, harmon killebrew, juan marichal, and others…to clothespin on the spokes of my schwinn stingray with the banana seat, to make the clicking sound as i rolled down the street. man, would i be rich right now. when chris was young, i tried to teach him what i knew about the grand game. how to throw…how to hold a bat…and to discover the strategy of the game. i coached his little teams for six years, from the time he was seven. he was always my coach on the field. i only coached corey’s team for a couple of years, before i hung up my coaches hat and picked out the most comfortable lawn chair to watch him play. my proudest moment was being able to watch them play together on the lewisville high school baseball team, when chris was a senior and corey was a freshman. i was the dad of the farra boys. unbelievable. i don’t deserve to have such amazing memories. i got to watch corey play for four years during college and now to watch him continue his love of the game as a coach and instructor. chris stepped away from playing, but picked up umpiring during his college years. what kind of dad cheers for the umpire? passion for the game lives on. so here’s what i’m thinking. i need to get back out on the field with young guys, again. the game is that important. the relationships are that important. the lessons kids can learn from the game are that important. the joy i receive from giving back to the game and to boys is that important. the other day, i spent time with a young guy from north point who is going to be trying out for the freshman team at lewisville high school at the end of january. i just wanted to help him a little and give him some insight into the process and maybe give him a tip, or two, on his swing. we went out and threw a ball for a while. it was last friday. my arm is still sore! rotator cuff problems in my shoulder and bone chips all through my throwing elbow…years and years of pitching batting practice and bad church softball. it was an awesome pain! so i decided last friday that i’m going to carve out some time in my future to get back into the game. i’m not exactly sure what i’m going to do…maybe i can help coach somebody’s team…or maybe i’ll offer to give some hitting lessons to kids who don’t have the money to pay for private instruction…or maybe i’ll see if i can do a little umpiring. i don’t know. what i do know is that there aren’t many things i can do that will keep me fresh and focused like spending time with kids and spending time with baseball. ahh…the smell of spring training is right around the corner.